If you lack passion for your business, it’s time to give some thought to why you’re doing what you’re doing. Missionary zeal is essential for business owners to ingrain into their company or organization. It becomes the defining element of their corporate culture, the reason for your existence. There is an excellent book on leadership by Captain D. Michael Abrashoff called It’s Your Ship and sub-titled Leadership Techniques from the Best Damn Ship in the Navy. 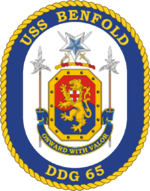 Abrashoff created the best ship in the United States Navy by realizing that the destroyer he commanded, the USS Benfold, was more than “his” vessel. It belonged to every sailor on board and the standard military protocol of command and control was less than ideal as a management technique. The captain found that the more every member of the crew knew they had ownership of their ship and that he cared about them and their role on it, the higher the level of performance could be expected from everyone. His vision was to reinforce that the ship’s mission was combat readiness. Pure and simple. That vision was communicated with the expectation that every sailor on board was important to achieving that mission. It was, without a doubt, their ship! The fact the USS Benfold became the best damn ship in the Navy proved his approach. Does that same missionary zeal apply to your organization? Do your “sailors” feel as though they can help accomplish the mission? Do they even know what the mission is? Do they care? If they don’t, the reason may be that they don’t believe you care about them or what they do. Do you listen to their suggestions? Do you implement those recommendations, or sweep them under the rug? More importantly, do your sailors understand the corporate mission? Do you, as the business owner or CEO, convey your vision for the company’s success? If you are unsure or unclear, it may be time to seek professional counsel and re-visit your corporate culture. It’s okay to embrace change if it is warranted. Insanity has been defined as continuing to do the same thing and expecting a different result. Your mission needs to clearly define your reason for existence, cutting through all the verbosity. Are you in business to provide a service or a product to consumers? Or to make money? It should be both, but if you answered “Yes” to only making money, you need an independent third party to help you figure out how to do it. This entry was posted in Business Branding, Business Planning, Business Strategies, Customer Service, Game Strategies, Marketing, Professional Consulting, Relevant Content, Uncategorized and tagged corporate mission, mission, missionary zeal, passion, purpose on April 13, 2015 by Coach. Communication is critical to business success. When you look at business plan formulas and study different models, there are two key ingredients woven through every one of them, One is the reason for existence, or the corporate mission and vision. Without a mission, success is hard to define and largely a matter of luck. The second essential that is critical to whatever plan is put together is communication! Communication is the thread that is woven into and through the success of any organization. If it is weak at any level, the message can be lost and the consequences will be seen on the bottom line. If lines of communication are strong throughout the company, substantial profits can be gained. Communication starts with the corporate mission. It should be clear why the company is in business. This falls on the owner to know the reason for the company’s existence and to communicate that vision throughout the entire organization and to the consuming public. If the ownership has a hard time defining that vision, imagine the impact that has on everyone else involved with the company. A consistent message must be communicated within and throughout the company, from management to employees and back as part of the culture. All levels of the organization must sing the same song. Managers must be open to suggestions from staff, especially those on the front lines of production or customer service. Staff, especially those involved in sales, have a direct line of communication with customers, so their voices must be heard. What they can communicate to the organization as feedback from consumers can mean the difference between long-term profitability and going out of business fire sales. Everyone is part of the same ship and can make the difference between sinking or sailing. The owner’s vision also defines his or her leadership style. The company must communicate clearly with its customers and potential consumers. If the customer is getting conflicting messages, often generated by word-of-mouth from other consumers, the likelihood of continued sales goes down dramatically. Consistency is important in the message delivered to the public, but so is the value of consumer perception, whether it matches the company line or diverges. Despite what business owners may think, people do talk about companies and ask what makes them different. The key is to facilitate open and honest communication throughout the organization. This entry was posted in Business Branding, Business Planning, Business Strategies, Customer Service, Game Strategies, Marketing, Professional Consulting, Relevant Content, Uncategorized and tagged business communication, communicate clearly, communication, communication critical, key is communication on April 6, 2015 by Coach. Perception vs. reality in marketing your brand. With as many blogs as we’ve posted about marketing, it’s puzzling why this is the first time we’ve addressed the topic so basic to marketing. Does the consumer’s perception of your business match the reality of your company? Here’s a little test: Imagine your dream vehicle, the car or truck you’ve always wanted to own and drive. With that image firmly in mind, see if the picture at the end of this blog matches your ideal. Does perception match? You’ve probably heard the phrase: Marketing is perception. There’s an element of truth to that because every company and business wants to have top-of-mind awareness for their products and services with the largest consumer base they can capture. An analogy would be that Cadillac is the top-of-the-line in American automobiles, the “Cadillac” if you will. 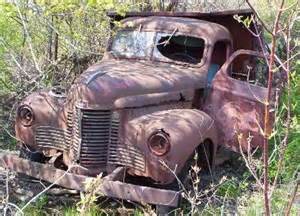 Keep in mind it has taken years, lots of advertising dollars, and various trials and tribulations to achieve and maintain that image for General Motors. You, too, must have that commitment to your brand to ensure its position as the leader among your competitors. It’s a marketing process wherein you craft the ideal, then work toward matching reality to that perceived image. Once it’s achieved, the focus shifts to maintaining a sustainable corporate brand identity. One of the first steps is to assess what perception already exists for your products or brand. You can engage professional services to perform this analysis or do it yourself with the pain-staking effort of talking to customers and non-customers. Customers can tell you what they like about your products and services and your company overall. Non-customers can give you the perspective of individuals who a) may not be aware of your products yet, or b) have an adverse opinion of what your products or services entail. Either way, you need to know the perception. Another step, and again, professionals can assist with the process, is to determine how closely the perceptions are to where you want them to be. Coupled with that is delineating the steps to bring the two more closely into alignment. Changing perceptions is difficult. Consumers generally remain loyal to certain products and services, hence brands, they know, like, and trust. Getting them to change to something else is a challenge, as much as it is to convert customers of a competitor to your brand. This entry was posted in Business Branding, Business Planning, Business Strategies, Game Strategies, Marketing, Professional Consulting and tagged perception, perception vs. reality, reality on March 16, 2015 by Coach. Customer Service: Tasks or Customers? The clerk behind the grocery store service counter was running ragged. There were five customers backed up waiting to take care of business, from purchasing lottery tickets to returning merchandise and from asking about a coupon to getting a price adjustment. When it was our turn, we made a comment about how busy it appeared to be. The clerk replied that it had been hectic all day and that the work they’d been assigned “in the back” was not getting done. At that point, we began the conversation about staffing the “customer service” counter. We suggested that the reason they were there in the first place was to take care of customers, not whatever the manager assigned as chores or tasks. There was agreement before a “but” that prompted our response to let the manager know, in no uncertain terms, that the assigned work was not getting done because they were taking care of customers. If you are a manager or business owner, it is imperative that your employees understand their first priority: Take care of the customers! Reports, stocking shelves, team meetings or whatever else is on your agenda of priorities should always take a back seat to taking care of the people who want to move your merchandise and give you money. Anything less, in our opinion, is poor management. Consider this example; You’re shopping in a store and hear the announcement over the public address system that all “associates” should assemble in the men’s wear section for a team meeting in five minutes. What’s your perception? One could be that you have five minutes to get any help before there is no one available to take care of whatever you might need in terms of service. Two could be that someone is going to get chewed out and made an example of in front of all the other people on shift. Three could be the manager has a self-inflated ego about what’s important to the company. A criminal mind might use that meeting to attempt something illegal. While we realize it is difficult to hold team meetings when a business operates 24 hours a day, they can be conducted prior to a shift change by paying a few minutes of extra time for staff to show up early. Consider how the workers feel when they have to stop what they’re doing and ignore customers to attend a group get together that may or may not have significance to their performance. It is far easier to build employee morale through individual attention. Corrective action is best achieved one-on-one and while praise for exceptional performance is appreciated in a group environment, it is also a boost when provided face-to-face. This entry was posted in Business Planning, Business Strategies, Customer Service, Game Strategies, Marketing, Professional Consulting on February 17, 2015 by Coach. 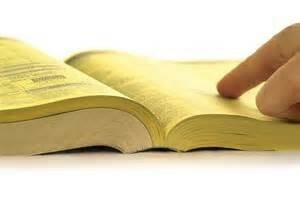 Once upon a time, people looked for information about a business in the yellow pages of their local telephone directory. If a business placed an advertisement in that directory, it was wise to be the first company listed under the desired category. The “old school” method of naming your company, therefore, was to have a title such as All American Plumbing or AAA Heating & Cooling. The idea was that the consumer would dial your number first because you were first in your category. In a sense, they were following the #1 immutable law of marketing; The Law of Leadership. Fast forward to 2015 and the world of electronic communication. Searching the phone directory for a business listing has been following the path of the dinosaurs for a number of years, with the end not too far away. Today it is much faster and more efficient to look for a business using a web browser on a smart phone, laptop, tablet, or similar electronic device. In many cases, the listing enables the online user to call the business directly from the listing, view the website, or discover the hours of operation among other choices. So, although the old school theory of using the first letter of the alphabet to lead the way in a business listing is passe, the law of leadership still applies. If a potential consumer does not know the specific name of your product, business, or company and chooses to search by a generic category such as “plumber” or “Italian restaurant,” it is critical that your business comes up on the first page of search results, preferably leading the way by being first on the page. Search engines are intuitive enough to know your location, so searching for an Italian restaurant when you’re in Chicago is not likely to return a result for Poughkeepsie, New York. 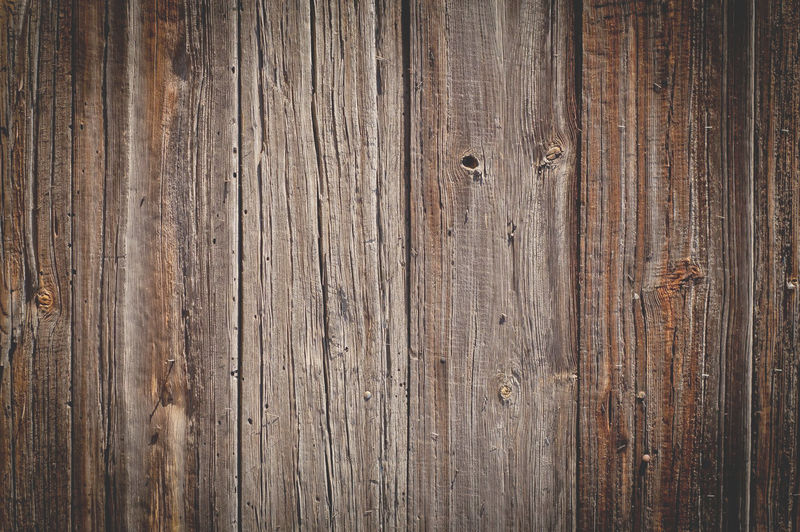 The bottom line: You want to be on the first page of search results! Statistics have shown that 74% of users will not go beyond that first page. If your business is not there, you are out of the picture, and will wonder why your website isn’t generating the results you expect. How do you do it? One way we recommend is to work with a consulting firm with a proven track record. Just building a web presence is not enough in today’s competitive environment. You need the right key words and strong page descriptions, but you also need to understand your market segments – not everyone needs what you offer – and provide relevant content that entices your ideal audience members to use your products and become loyal to your brand. This entry was posted in Business Branding, Business Planning, Business Strategies, Game Strategies, Marketing, Professional Consulting, Relevant Content, Web Content, Website Development and tagged old school ads, search engine optimization, SEO, smart marketing on February 10, 2015 by Coach. According to recent reports by Chartbeat and Google, only 0.1% or less of banner ads are actually clicked on. One-tenth of one percent or less! Couple that with statistics showing that 56.1% of all, repeat all, website ads are not seen and you come to the realization that business owners need to rethink their online marketing strategies. Roger Yu of USA Today wrote an article recently about how “some notable names in the online publishing business (are) starting to rethink the way they present their content and sell their ads, focusing on the amount of time spent on their content by readers.” The gist of Yu’s article is that online users want relevant and/or compelling content. Let’s look at the cons of online advertising first. Banner, pay-per-click, and similar ads are not likely to produce new clients for your business, despite the number of people viewing the sites where you may advertise. When you think about it, which is something we encourage people to do, users don’t want to be sold, so the only way someone is going to click on an ad is if they’re tricked into doing so or are supremely interested in what the potential offer is all about. The site owner will tout viewers and length of stay on the sites you may advertise on, but when you measure the return on your investment, you are likely to find it’s a waste of money. What you have to do is weigh the new clients you gain against the cost to acquire them. For example, if you’re spending $600 a month in online advertising and only acquire one new client, the cost of that acquisition is $600. Is a client worth that to your business? Technology is changing rapidly. What that means is consumer buying habits are also changing rapidly. What you need to increase the likelihood of a sale is the reader’s time and attention. That’s where the value lies for both the consumer and your brand. On the plus side, having a web presence for your business that is mobile-enabled is essential in this era of smart phones. If a consumer can view your website on their phone, touch and call your business with a couple of thumb or finger moves, you have developed an effective online approach to advertising your business. If you know where your potential customers are likely to be, such as shopping on Amazon.com or searching with Google, and you can afford to advertise your products there, it may be worth the investment. Try it short-term to see if it generates results. This entry was posted in Business Branding, Business Planning, Business Strategies, Game Strategies, Marketing, Professional Consulting, Relevant Content, Web Content and tagged consumer buying, consumer habits, online advertising on January 28, 2015 by Coach. 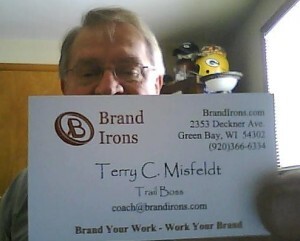 Your business card is a major component of your corporate marketing strategy. It is a mini-billboard for your business and tells prospective customers how they can reach you. How your card looks is critical. How you present it to people is pivotal. The information it contains enables people to contact you. Let’s dig into the details. 1) The look of your card. Your corporate logo should be prominent on your business card. Call it brand recognition. Your name is also critical, so make sure it’s spelled correctly when you proof the card (Yes, ask for a proof and proofread your card before authorizing printing). Your title is less important than the information on how to reach you. If you want people to call, make sure your phone number is there. Your address is vital if you operate a retail store. Your website and E-mail are important if you want people to contact you through those electronic channels. On a side note, make sure your website reflects the image you convey on your business card to reinforce your brand identity. 2) Presenting your card. How you hand out your card is a key presentation element. If you attend a networking event, having a good supply of business cards readily accessible is a key to success in discovering potential clients or referral sources. Practice pulling out your card from your purse, pocket, or other storage place so you can grab the card without looking at it and present it properly. Hand the card to the other person so the information is easily seen and creates a positive brand impression right away. If they are good at networking, they will accept your card and look more closely at it to digest your information and ask questions to stimulate the conversation. Be polite and ask for their card, too, and if you want to make a note about them afterwards, proper etiquette is to ask their permission to write on their card. Note: It’s not a good idea to start writing on their card without asking first. 3. It’s about information. Your card should contain essential information and not leave the recipient guessing how they can follow-up with you. Even though your company may have a myriad of phone lines coming in, highlight the dominant number that you accept calls on. The impression people get when they call the corporate number and have to wade through a robo-operator to get your extension and voice mail message is that you don’t want their business. Callers like to talk to a real person right away. The same holds true for an E-mail address. Make sure the one you give people on your card is one you check regularly, and when you get an E-mail from someone you’ve met, at least acknowledge that you received it. As much as we rely on electronic communication techniques in today’s business environment, people still like to interact with people. Your business card is the leave behind you have to create an impression with someone you’ve met face-to-face. It’s also a symbol of your brand identity, so present it properly. Keep in mind it can also be used as a reminder when you mail a letter to someone. It’s considerate to include two cards in a letter, one for the recipient and one for them to give to a potential referral. This entry was posted in Business Branding, Business Planning, Business Strategies, Game Strategies, Marketing, Professional Consulting and tagged business card etiquette, business cards, networking, networking skills on January 19, 2015 by Coach. Building brand loyalty involves being able to attract customers, keep them coming back, and have them sing your praises to other consumers. Their loyalty depends on how well you take care of them and lasts through the reputation you build for your brand. Step One: Produce and provide a quality product or exceptional service. Quality is a major determining factor when it comes to the price equation. Consumers will purchase an inexpensive product and remain loyal if it’s useful and offered in a consistent fashion. French fries come to mind as an example. Fries are relatively cheap to produce, yet customers develop a fondness for how and where they get their favorite fries. Step Two: Meet or exceed the customer’s needs. Beyond food, shelter, and clothing, you should know what your customers need. Do they want the prestige of owning your product or using your service? Do they seek certain performance standards? Do they need to fill a basic need or pick up a bit of luxury? The deeper knowledge you have of your client’s needs, the easier it becomes to meet and satisfy those demands. Step Three: Deliver what you promise. Failure to deliver what’s promised opens the door to lots of business headaches. How does your delivery person deal with an irate customer when your order taker says the pizza will be there in 30 minutes and it takes longer than 90 minutes to get it there? Does “Oops, I’m sorry!” help build brand loyalty? The other side of this brand building step is to avoid promising what you can’t deliver. Step Four: Take care of your customers. Customers will remain loyal to your company and its brands if everything about it provides them with more pleasure than pain. If a customer likes how well your vehicle handles, how easy it is to get in and out of, how much storage space it provides, and how good it looks sitting in their driveway, the odds are fairly good you will cultivate a loyal customer who brags to others about your vehicle. Step Five: Ride for the brand. Once you’ve settled on a brand identity and begun to implement the strategy that goes with it, stick to it! Understand that it make take time to become ingrained in the consumer’s mind, so allow your advertising and other marketing efforts to work before pulling the plug and shifting gear. When customers know you make the difference they’re looking for and remain consistent, their loyalty is easier to maintain. These are five basic steps on the path to building brand loyalty. There are others, of course, and we’ll share more in coming posts. Keep in mind that what may seem simple can be rather complicated. Your task, as a business owner, is to remain focused on doing what you’re good at. Engaging a business and/or marketing consultant can be an effective way of growing your business and achieving your dreams. This entry was posted in Business Branding, Business Planning, Business Strategies, Feasibility Studies, Game Strategies, Marketing, Professional Consulting, Relevant Content and tagged brand loyalty, building loyalty, customer loyalty on January 12, 2015 by Coach. You’ve probably heard the analogy about large corporations being like an aircraft carrier or battleship while smaller companies are compared to PT boats or cruisers. It’s the analogy that making a course correction or changes within a large corporation is more difficult and takes longer than the same action with a smaller vessel. There’s an element of truth to the analogy, although you must remember that larger businesses have more resources at their disposal when it comes to making changes. An aircraft carrier, for example, has the resources to protect the direction its been going while it prepares to make a course adjustment. It has a much greater reach and a larger crew than the destroyer running alongside. In fact, the destroyer can be part of the larger aircraft carrier’s entourage and thus help affect change more quickly. Enough of the military perspective. We’ve advocated for several blogs about the importance of constantly taking a step or two back and looking at your business from a different perspective. We are against change for the sake of change. However, if a change is warranted for whatever reason – economic downturn, cost inefficiencies, product obsolescence, poor performance, or lagging sales – the more rapidly and efficiently change can be made, the better off the company will be when it comes to survival over the long haul. Smith-Corona once owned the market for typewriters but failed to make an effective transition to computers. IBM, on the other hand, had a large market share with their Selectric typewriter and made a relatively successful change to the world of computers. Similar comparisons can be made in other fields – Motorola with portable phones, for example. The company once owned the manufacturing sector for portable phones and now has a smaller share of the market but is making a comeback. Change is a constant in every business environment. The key to staying ahead of change is to remain abreast of what the consumer wants and is willing to pay for. How does a company do that? First, at least some of the corporate culture needs to embrace the concept that change is the only thing that’s permanent. Change is happening all the time as consumers age and change buying habits – purchasing online versus at the retail outlet, for example. Second, engage strategic partners such as Brand Irons to put a finger on the pulse of consumers and more clearly define marketing direction or internal changes that may be a necessity to move in the right direction. The slogan below links to our website. Third, be pro-active in making changes. Waiting, although it is a decision, can be disastrous if your competitors move more quickly and capture a big chunk of your market share. It’s your business to gain – or lose. Be sensitive and open to change. This entry was posted in Business Branding, Business Planning, Business Strategies, Game Strategies, Marketing, Professional Consulting and tagged change, cost inefficiencies, course correction, lagging sales, making changes, product obsolescence on December 23, 2014 by Coach. You should expect your advertising to generate sales. If it doesn’t, it should at least build or reinforce your corporate brand image or create leads for your sales force to follow-up on. Preferably, ads = sales. A common refrain you hear from advertising sales representatives, whether cable, TV, radio, or print distribution channels, is: “You have to give it time, or you need more frequency.” That’s a veiled excuse to capture more of your advertising budget on a media that is not likely to produce the results you desire. So, what’s the secret to getting your advertising to work? Planning and taking the time to think things through. Let’s look at an example. A radio station claims it is the #1 station in its market, and is the place your company should be advertising. Sounds great, doesn’t it? Think about this for a few minutes. First, what do you do when you’re in your vehicle and listening to the radio when a commercial comes on? Odds are you change the channel, like most people. If the majority of listeners does the same thing, what chances does your advertising message have of being heard … or acted on? You have to pay attention to consumer habits when it comes to your target audience being receptive to advertising messages. The same concept applies to targeting a younger audience with a television or cable TV ad. Most of them record their favorite programs and play them back with the DVR (Digital Video Recorder) so they can fast forward through the commercials. Your 30-second spot now plays back in about 5 seconds, if it’s noticed at all. Similar considerations are relevant to newspaper or magazine ads, although various market segments react differently to classified, display, and insert advertisements. And most consumers now go online to check out a company or product’s website before they make a call or head to a store, so relevant content is an issue with an online presence. Everything seems so complicated, so what should you do? We recommend engaging a professional marketing consultant to help with getting the most out of your advertising budget, which is a portion of your overall marketing strategy. In lieu of an engagement that is proven to make you far more money than you will invest, you can take the time to look at establishing a budget and then thinking through where it is best to invest those funds. It starts by clarifying who falls within your target market zone. If you claim “everyone” needs your product and/or service, you will waste your advertising dollars. Even if you determine it’s women vs. men, hang on to your wallet. The market segments most likely to purchase and use your product and/or service can be much more narrowly defined. Once you’ve narrowed the field to your primary prospective audience, figure out what advertising medium is most likely to get those people to react favorably to what it is you offer. It may be your website or social media, signs, a billboard, or traditional media. Use that medium with the right attention-getting device and the correct call to action and you will greatly increase your odds of success. This entry was posted in Business Branding, Business Planning, Business Strategies, Marketing, Professional Consulting, Relevant Content on December 11, 2014 by Coach.